Arriving just in time for summer adventures, Anchor Steam Beer is finally available in cans for the first time! 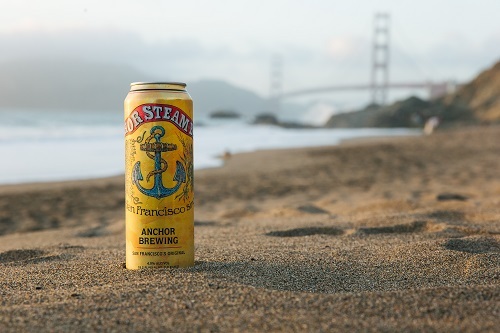 This 19.2oz offering gives beer fans even more opportunities to enjoy Anchor Steam wherever they go, be it lounging on the beach, out on a hike, or grilling with friends. Best of all, these convenient cans are available both as singles, as well as easy to grab 4-packs. First brewed in 1896, Anchor Steam was the first handcrafted beer to be revitalized in America after Prohibition starting a revolution in beer that originated today’s craft beer movement. In 1971, Fritz Maytag began bottling Anchor Steam Beer—the first bottled Anchor Steam in modern times. The distinctly flavored San Francisco original has been classically handcrafted in Anchor’s copper brewhouse for 122 years and counting. Neither fully a lager nor fully an ale, Anchor Steam is in a category of its own, created by fermenting a lager yeast at warmer ale temperatures. Anchor Steam Beer derives its unusual name from the 19th century when “steam” was a nickname for beer brewed on the West Coast of America under primitive conditions and without ice. 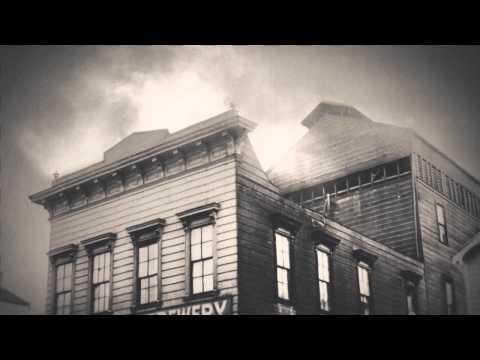 While the origin of the name remains shrouded in mystery, it likely relates to the original practice of fermenting the beer on San Francisco’s rooftops in a cool climate. In lieu of ice, the foggy night air naturally cooled the fermenting beer, creating steam off the warm open pans. Today, Anchor Brewing is the only American brewery that still employs open fermentation on a commercial scale. Although Anchor has modern equipment and their fermenters are made of stainless steel—and not on rooftops—Anchor has kept this process as part of the brewing heritage for Anchor Steam as well as other beers. Anchor Steam owes its bright copper color, frosty tan head, and rich, distinctive flavor to this unique, historic brewing process. It is a process that combines a deep respect for brewing tradition with many decades of evolution to arrive at a unique approach: a blend of pale and caramel malts, fermentation with lager yeast at warmer ale temperatures in shallow open-air fermenters, and gentle carbonation in Anchor’s cellars through an all-natural process called kräusening. With flavors of mild toasted malt and a touch of caramel, Anchor Steam is balanced by bright, piney hoppiness. It has aromas of toasted bread crust maltiness followed by bright evergreen Northern Brewer hops and floral esters. A smooth and velvety mouthfeel is accompanied by lively bubbles from the natural kräusening process and a crisp, bright hop finish. It pairs well with any seafood dish, steak with caramelized onions, and grilled portobello mushrooms. Find Anchor Steam cans near you using the Anchor Beer Finder.